Ha ve you ever wondered why fresh air feels so much nicer and cleaner than the air in your home? Well the answer is simply because it is. What most people, myself included, fail to realize is that the air you breathe most frequently: The air in your home, is filled with harmful gases, pollutants, dust mites, odors, and airborne diseases. Indoor Air Quality is a term that did not exist just 75 years ago. This term is used to describe the quality of the air that you breathe during most of your day, indoor air. Recent developments in scientific research have discovered that the quality of indoor air is often three to five times worse than the air outside. When you stop and think about how much time you actually spend indoors, you realize how crucial it is to improve the air quality in your home. Now you may assume that pollutants in the air at home can be linked to asthma, allergies and breathing complications, such as bronchitis. While this is true, the medical community has recently established a direct link between harmful pollutants in the air in your home and heart attacks. Dust and allergens aren't the only hazards that are present in indoor air, though. Mold spores, Tobacco smoke, pet allergens and dust mites can also be found in the air in your home. Mold spores are perhaps the most underrated threats to the personal well-being in any home. Tobacco smoke is also a very serious hazard that has potentially fatal consequences even for non-smokers. All of these substances can easily find their way into your home and cause serious harm to you and your family. These pollutants are no laughing matter and don't rest just because you've gone to sleep. At this point you may be asking yourself: How do I improve the air quality in my home? The answer is simple. 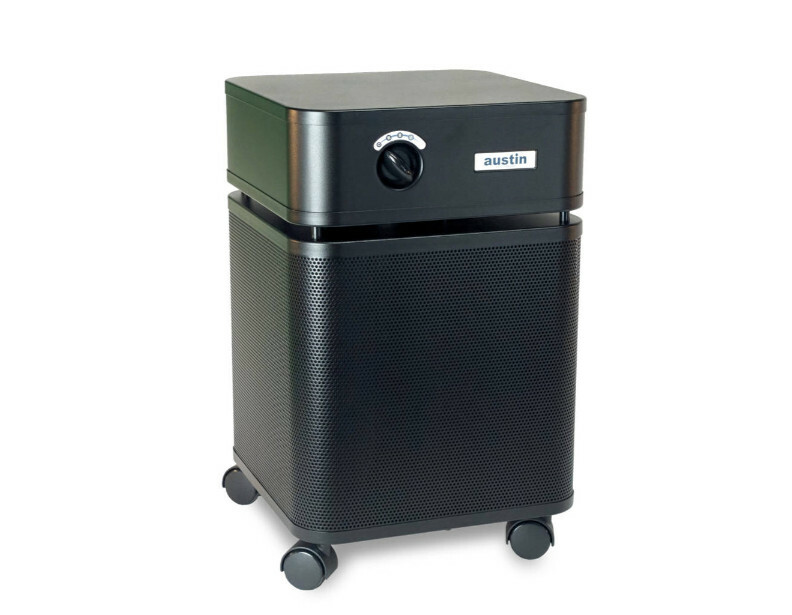 You need a machine that will filter out toxins in the air while generating fresh air throughout your home. An Austin Air purifier will do just that. Austin Air Purifiers such as the Healthmate or Bedroom Machine use true medical grade HEPA filtration to remove harmful toxins from the air and generate fresh and clean into your home. These machines use a complex 5 step filtration system composed of an inside HEPA or HEGA filter and an outer Carbon Zeolite filter. These machines are 99.97% effective in removing all particulates as small as 0.3 microns and 95% effective in removing all other substances. All of the air purifiers by Austin Air come with a 5 year mechanical warranty as well as a 5 year warranty on the filter. If you're going to use an air purifier in your home, why not use the best one on the market? In fact, these machines were trusted by the American Red Cross and FEMA to address the air quality problems in post September 11th New York City. The Austin Air purifier is designed to last and the filter doesn't have to be replaced for five years. Take a look at the Austin Air selection in our store to find the perfect air purifier for your home. Improving the indoor air quality in your home is extremely important to your health. Pollutants in indoor air are a serious threat and should be taken seriously.